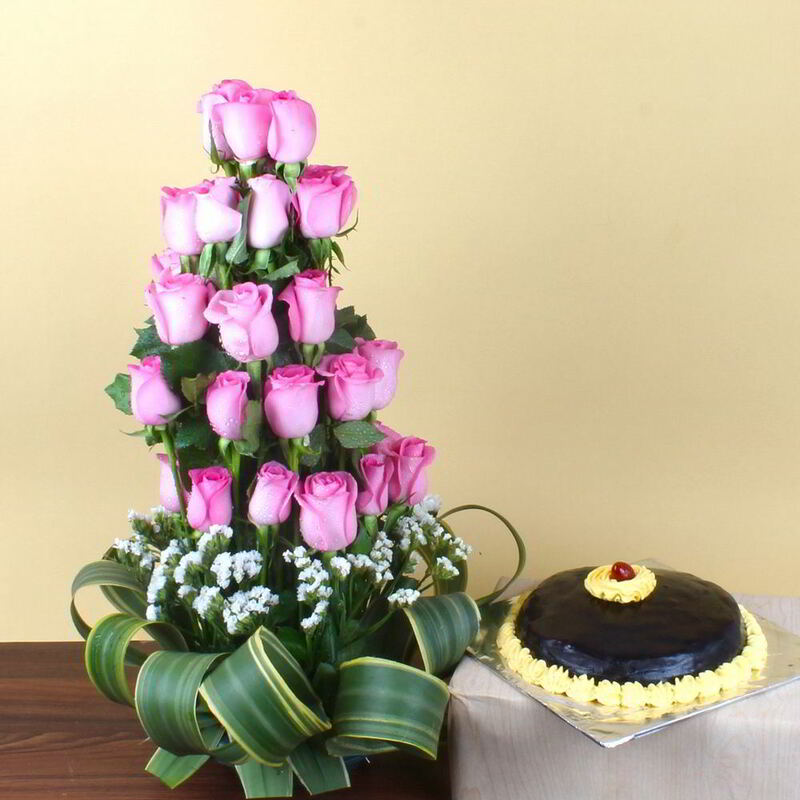 You can now express your love by sending this beautiful bunch of 50 pink roses arranged in a lovely basket with half kg round shape chocolate cake. And this beautifully arranged in a basket step by step. 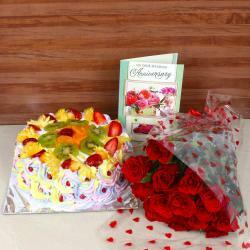 There is no other flower that can ever express your love better than pink roses and chocolate cake. The amazingly beautiful pink roses will convey the message of admiration and also a message to convey beauty and grace of the relationship. 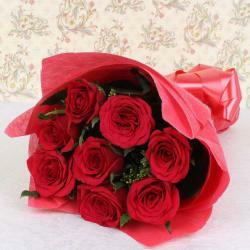 Send this lovely gift to your loved ones anywhere in India on their birthday wedding anniversary or any other special day through Giftacrossindia.com India's first gift discovery platform which ensures hassle free delivery of this bunch of fresh flowers on right time. 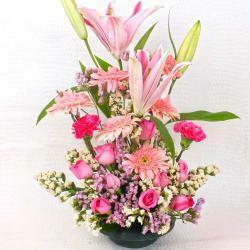 Product Consist: Standing Arrangement of 50 Pink Roses with big Fillers in it along with 1/2 Kg Chocolate Cake.